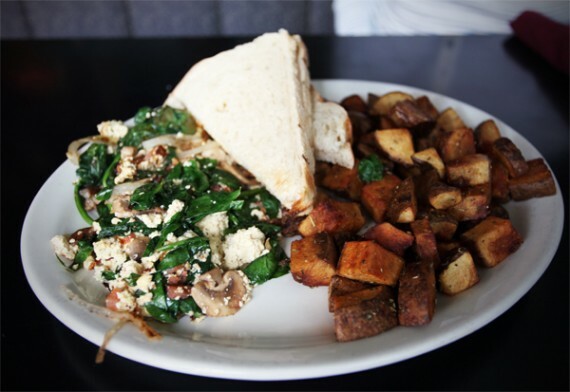 we planned on ordering a ton of food, so the husband started off with a half order (yes, this is only a HALF order) of portobello scramble for just $5.75. 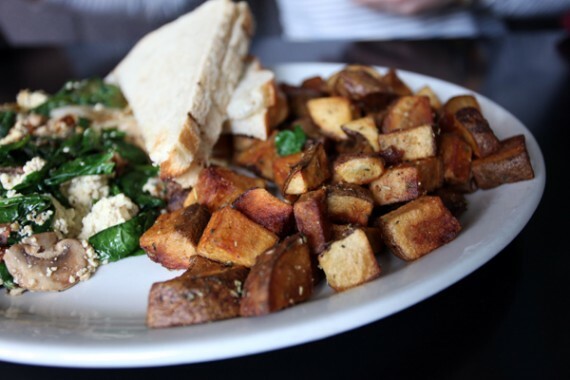 the plate came stacked with more than enough food for one person—tons of tofu fried up with mushrooms, garlic, and spinach plus a side of breakfast potatoes and toast. good god, i can't believe this is the small size! it being our last day in portland and all, i went a little crazy with my order. 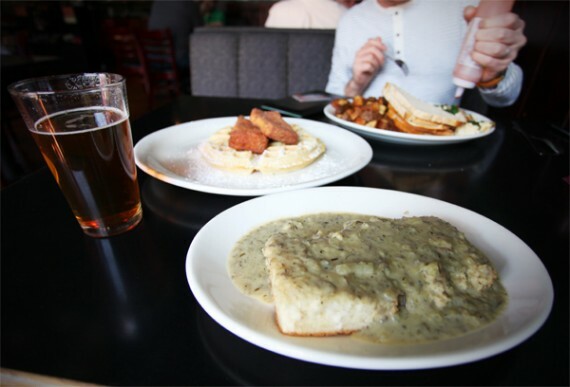 i got a “small” portion of the new vegan chicken and waffles, a half order of the legendary biscuits and gravy, plus a lagunitas IPA for good measure. 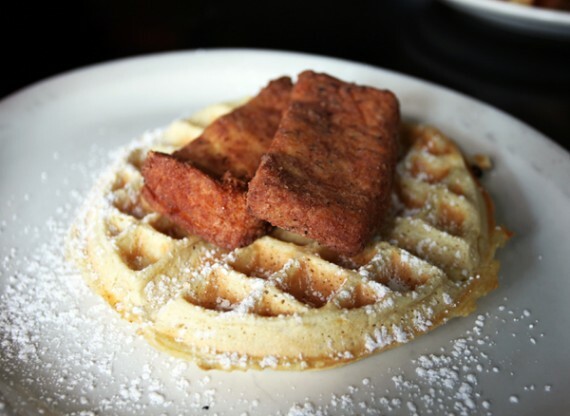 first off the chicken and waffles—oh my. 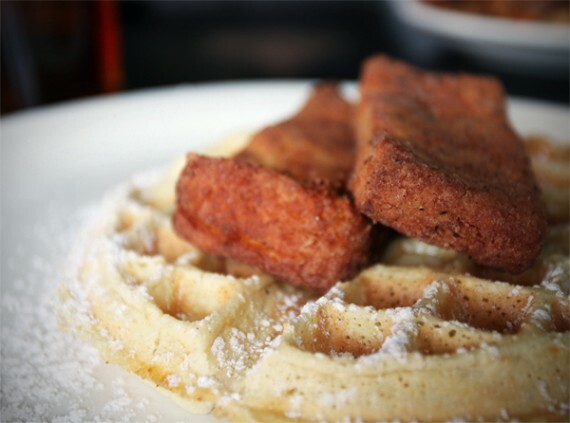 two breaded and seasoned slabs of tofu perched on a giant powdered sugar waffle, the perfect way to start the day. i’m not sure what hungry tiger does to their tofu, but this stuff was unbelievable. i’m thinking this tofu would make for a great fish replacement if HTT wanted to offer vegan fish and chips. it was crispy and salty on the outside, yet moist and tender in the center. last but not least, just like i can’t visit portland without eating at hungry tiger too, i can’t visit hungry tiger too without eating biscuits and gravy. these are by far the best biscuits and gravy i’ve ever tried, and they seem to get better and better every time i go back. 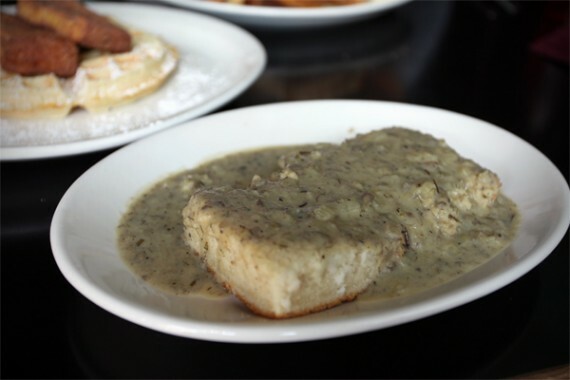 it’s not the gigantic and fluffy cake like biscuits that make these things awesome—it’s all about the white and chunky vegan sausage gravy. seriously, never give me this recipe, because i’d have to make it every day. 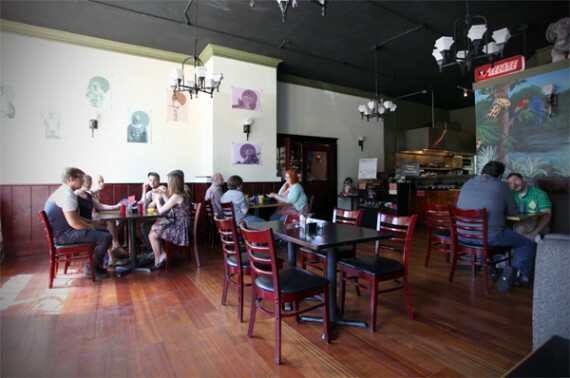 there is a whole lot of vegan food in portland, and these biscuits are what i seem to miss/fantasize about the most, so definitely check them out if you’re ever in town. 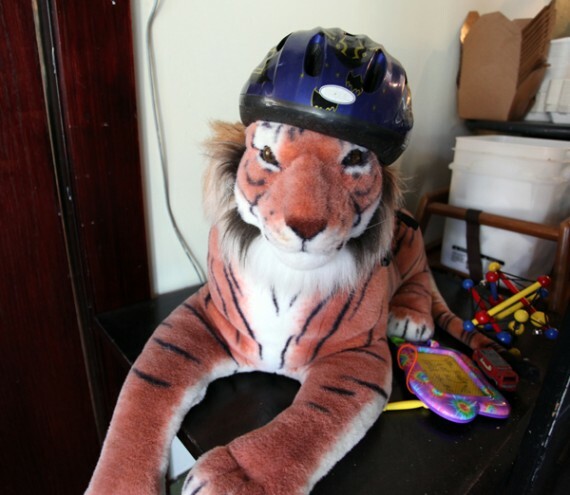 oh hungry tiger too, i miss you already. 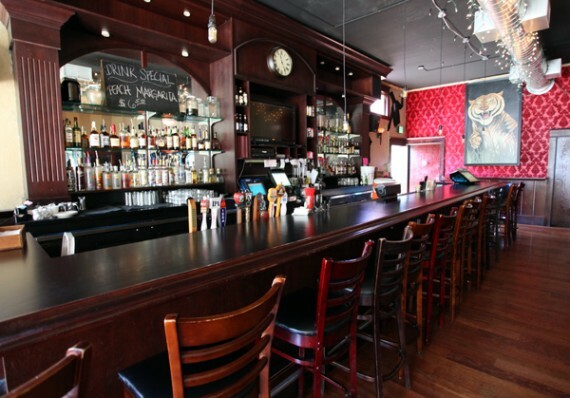 Open M-F from 11 a.m. to 2 a.m.
Wow! When ever I order one of the scrambles it’s a lake of disgusting oil under the food. I’ve stopped bothering. How did you end up with one that looks soooo good? I still love HTT, though!